Sometimes behind every evil, there may be a sad tale behind it. 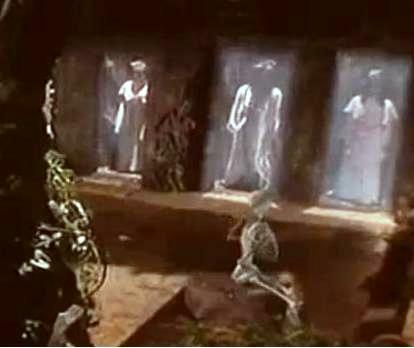 The Skeleton Spirit (白骨精) had fallen in love with a prince and kidnapped him from the palace. She then forced the prince to be her husband. The prince had tried to escape and even commit suicide by jumping down the cliff- but she was not to allow it to happen. In tears, she asked why can’t he love her? And the prince (also a forced husband) told him that human and spirits exist in different worlds- how can there be love? It was unnatural. So the Skeleton Spirit was determined to catch Tang Shazang and eat his flesh in hope that she would turn into a real flesh and blood instead of just a skeleton borrowing a body to occupy in. She wanted to be able to bear her husband children and for him to finally call in love with her. Over 5 years of their forced marriage, Skeleton Spirit had taken good care of the prince. Even though he did not love her, he was also a little touched by her kindness and did not want harm to come to her. So he advised her not to kill a monk, especially a highly accomplished one for fear of repercussion. But Skeleton Spirit was determined in her quest and refused to give up. In her first attempt, she pretended to be a village girl carrying fruits. Meeting the group halfway, she offered her fruits- telling Tang Shazang that she was the only child, taking care of both elderly parents. She offered the fruits to the hungry travellers. But one look and WuKong knew she was the Skeleton Spirit. He had wanted to hit her but his teacher stopped- his teacher reasoned- even if it is really true that she is a spirit, she had not done any harm so Wukong should not kill. 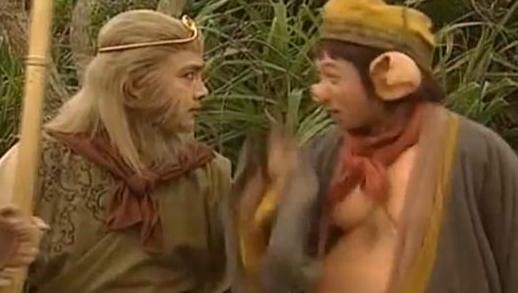 And WuKong talked back rudely to his teacher. By now, Piggie, who was half infatuated with the lady insisted that she cannot be any evil spirit- he persuaded his teacher that WuKong was just impulsive and making a huge mistaken. And because his teacher also knew that WuKong can be very bad tempered and impulsive, he did not believe him. Wukong begged him to believe but his teacher did not believe him and insisted that Wukong obeyed and not harm her. But WuKong was concerned as he knew she had evil intentions towards his teacher. She instigated him. So he hit her with his powerful weapon and she appeared to have died. His teacher was upset that WuKong was not remorseful- WuKong insisted that he did not do anything wrong. The teacher then asked Wukong to leave. 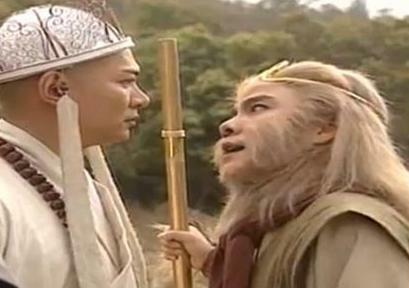 On second thought, WuKong decided his teacher’s life is in danger. So he swallowed his pride and asked his teacher for forgiveness. His teacher, having a kind heart, decided to forgive him. 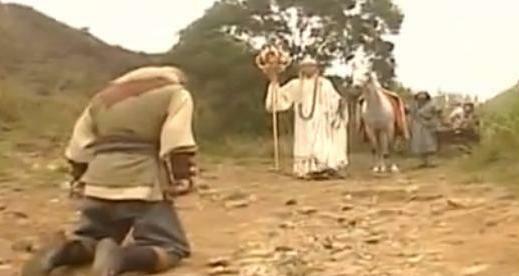 WuKong promised he would not harm any innocent lives. Next, you would see how the scheming Skeleton Spirit eventually caused Tang Shazang to banish WuKong away….